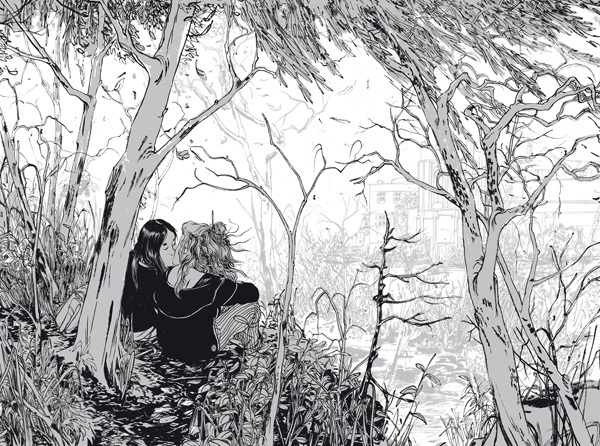 Skim is written by Mariko Tamaki and drawn by Jillian Tamaki, the same cousin team who more recently collaborated on This One Summer, which Dana recommended a couple of months ago for our “Summer Reads” theme. Of course there are similarities, and I love both books, but Skim is a story of a different order: more intense, more mature, and much, much darker. It’s narrated by Kimberly Keiko Cameron (aka Skim), a Catholic school tenth grader whose diary over the course of the school year forms the backbone of the story. 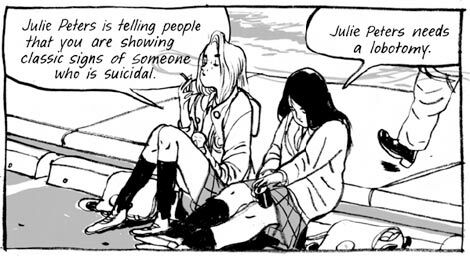 It’s a big year (as are all years when you’re that age, I suppose), and as Skim struggles to figure herself out, not to mention everyone else, she’s confronted with everything from sexuality to suicide. To say that Skim is a book about school is obviously a major oversimplification. But of the many wonderful young adult novels I’ve read that explore what high school is like for teenagers, this one is probably the most beautiful. And I’m not just talking about the gorgeous illustrations. The more time I spend with this book, the more I appreciate its delicate, woven construction and raw, searching depth. And though I do wish I’d known to read it when I was in 10th grade, it has a resonance that’s impossible to outgrow. We all need the occasional reminder that being sixteen is really, really hard. 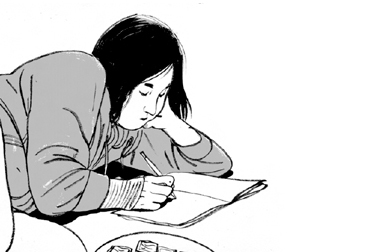 This entry was posted in September 2014 and tagged comics, graphic novels, high school, jillian tamaki, lgbtq, mariko tamaki, Nicola's Books, school, September 2014, skim, suicide, teenagers, ya. Bookmark the permalink.